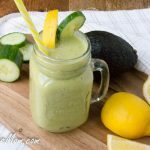 Whether you’re feeling under the weather, feeling bloated from eating too many carbs or just simply feeling like you’ve over done it, maybe like after Thanksgiving, you may be in need of a cleansing detox smoothie to get yourself feeling back to normal. 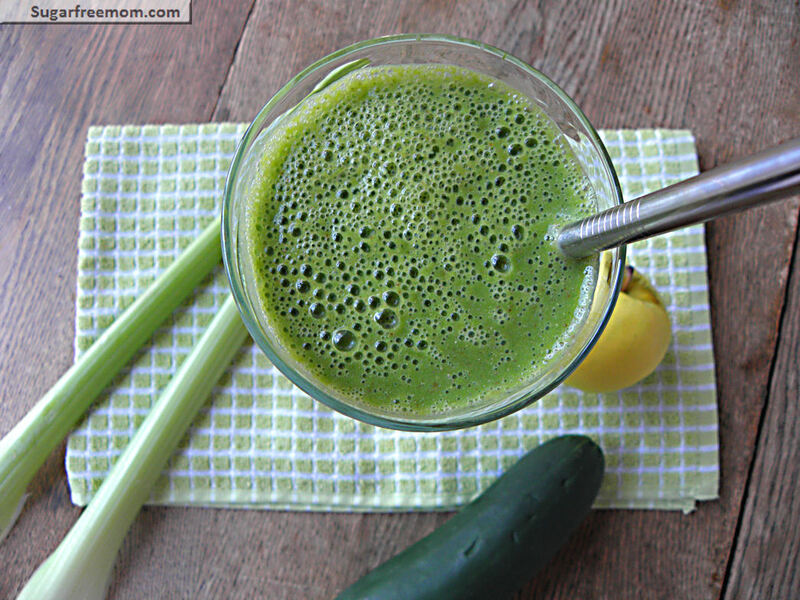 Green veggies are perfect for cleaning out toxins in your body. 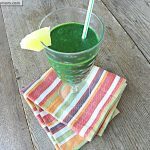 Eating them in the morning is not usually how you would start the day but making them into a smoothie and you’ve got a perfect solution to eat those greens! 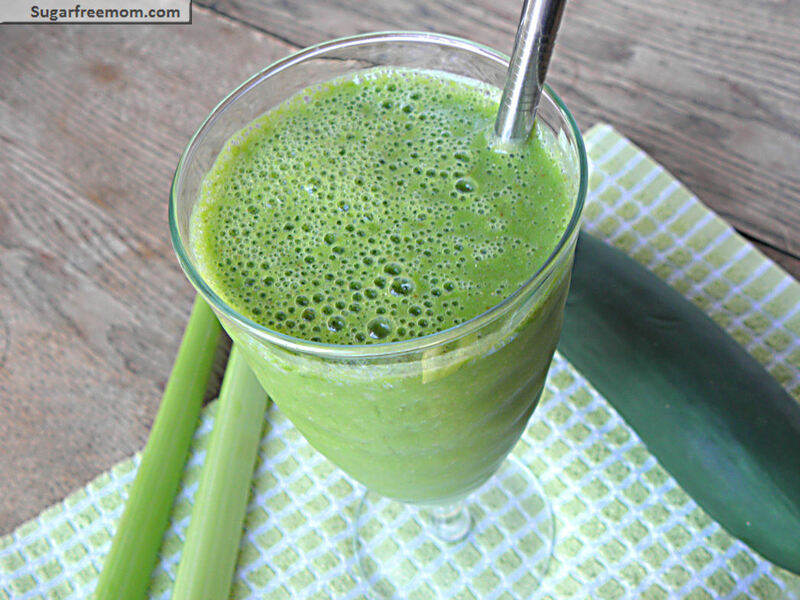 Starting your day with one of these green babies is surely going to make your body happy. How do I know this? Because I’m no stranger to the overeating or overcarb-ing which cause me to feel horrible! 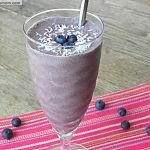 I start fresh in the morning with this smoothie and I’m feeling much better knowing I took care of myself. To be honest I was a green smoothie HATER, I really was! But I have turned over a new leaf, pun intended! 🙂 You can too, it’s good for you! 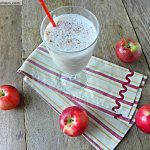 Choose whatever apples you have on hand, use sweetener or leave it out as the apples will sweeten your smoothie. However you adjust this recipe don’t remove the important stuff, like all the veggies! 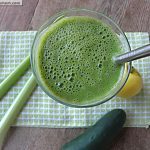 *Check this post If you are interested in a Three Day Cleanse & Detox. *If you are unsure why cleansing your body is important, read this post. If you are truly serious about detoxing yourself from sugar for good, this 6 week sugar detox plan will help you! Blend all ingredients in your high powdered blender until smooth. I mean groung flaxseed, you can buy it whole and grind it yourself or buy it already ground and store in the fridge. glad you liked it, thanks for sharing! Why do you use the liquid stevia? Not the granular? I prefer it as it doesn’t even need to be stirred like the powder and it is less processed than any other stevia. Will you be posting the detox plan you were talking about on Facebook soon? If you want to make it even thicker you add a little bit of silken tofu. Gives it an amazing texture! How many ounces is one serving? Having one right now. It’s really good! 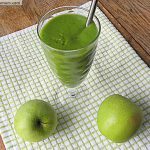 Have you ever tried juicing with just these veggies and the apple or do you just use this recipe for a smoothie? Thank you. Has anyone nursing ever tried this? I am going to call my midwife/doc to see if its ok. I dont see why it wouldnt be. I am allergic to almonds. Any suggestions as to what to use instead of the almond milk? Oh sure, any milk you like is fine. Apples are NOT sugar free. This recipe is misleading. 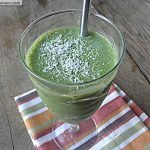 I was disappointed as I’ve been searching for different green smoothie options for my sugar detox, and while there is no added sugar here, the almond milk contains sugar and the stevia while not registering as a gram of sugar, has some negative physiological responses, especially for those craving sugar. So far though, great website. There is no sugar in unsweetened almond milk. I’ve been using stevia for 14 years and have not had cravings for sugar since using it.